I was given a big bag of pears from my mom last week from the bounty of her orchard. Ok, it’s not a real orchard, just a few trees in her yard. But my mom’s green thumb is absurd. She’s like the plant whisperer. There’s so much fruit on her trees, you’d think she had fruit fairies painting them on at night. What? Fruit fairies are totally a thing. When I returned home that day, I had more pears from my neighbor on my front step. She’s also a crazy awesome fruit and veggie magician. See? I don’t need to learn to garden…people just give me produce. It’s luxurious. None of the work and all the rewards! Since I kill every growing thing I touch, I need people like this in my life. I’m always on the lookout for ways to eat dessert for breakfast. These delightful little muffins have perfectly light flavor and a melt in your mouth oh-my-goodness-this-is-so-amazing texture that’s to die for. 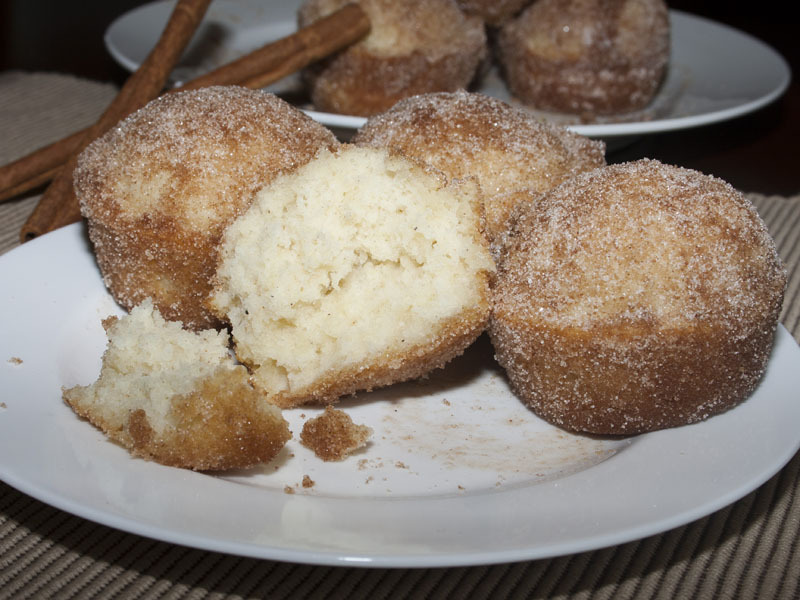 What would you call a dessert that you pass off as breakfast? I mean, besides the obvious…pie. Bressert? Deskfast? 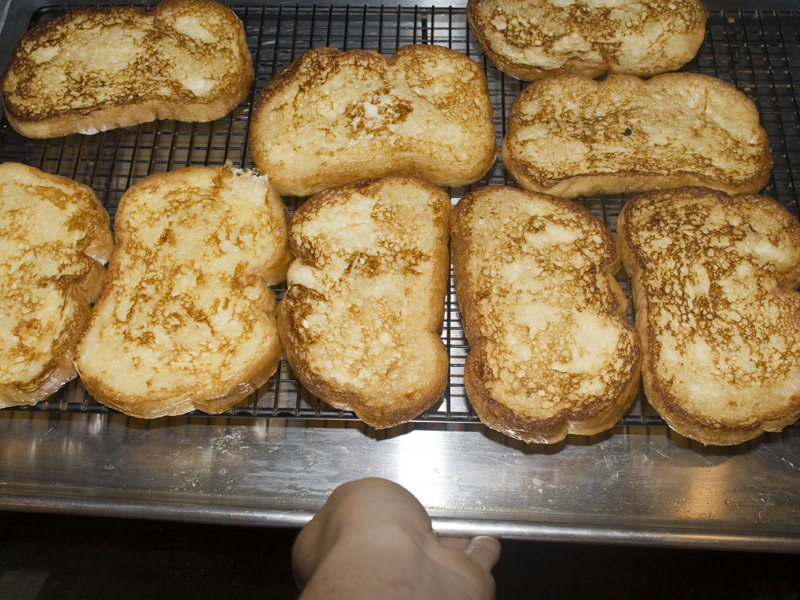 I’ve been making french toast the same way for years. Eggs, a little milk, some sugar and vanilla. Beat, dunk, pan fry. Nothing to write home about, but good enough. 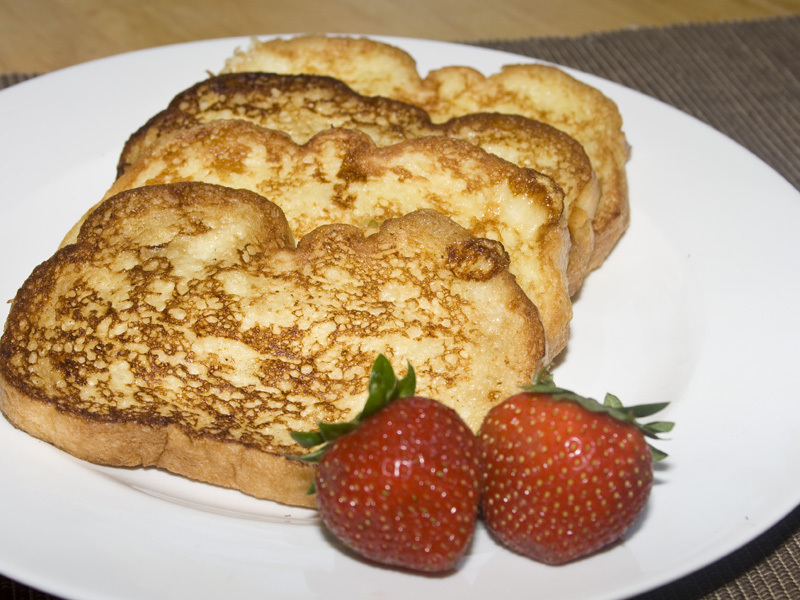 Until I made THIS recipe I didn’t know just how delicious french toast could taste. 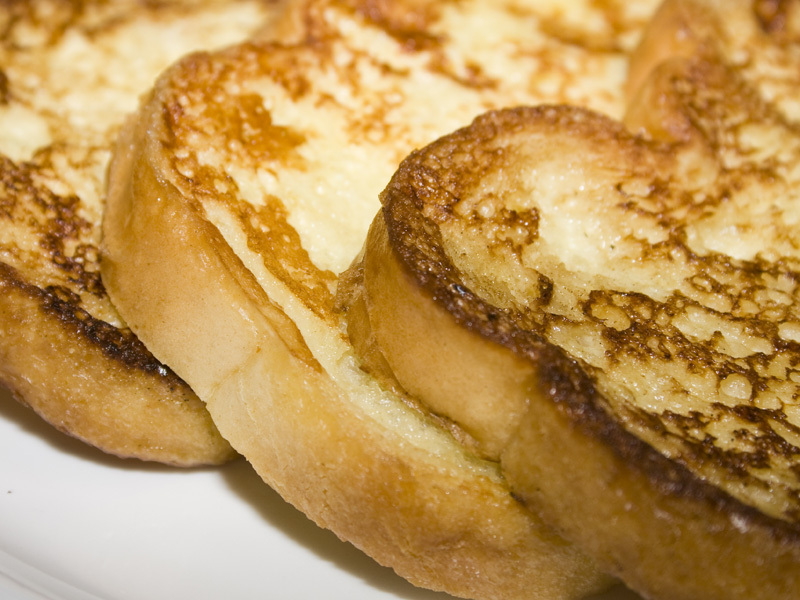 I guess I never realized what good french toast was supposed to be like. Now I know. Here’s what it should NOT be. The technique for this recipe is the key. Yeah, the custardy egg dip is delicious. I’ll bet you can guess the secret ingredient just by the recipe name. Ya’ know, cause you guys are super-genius type people. 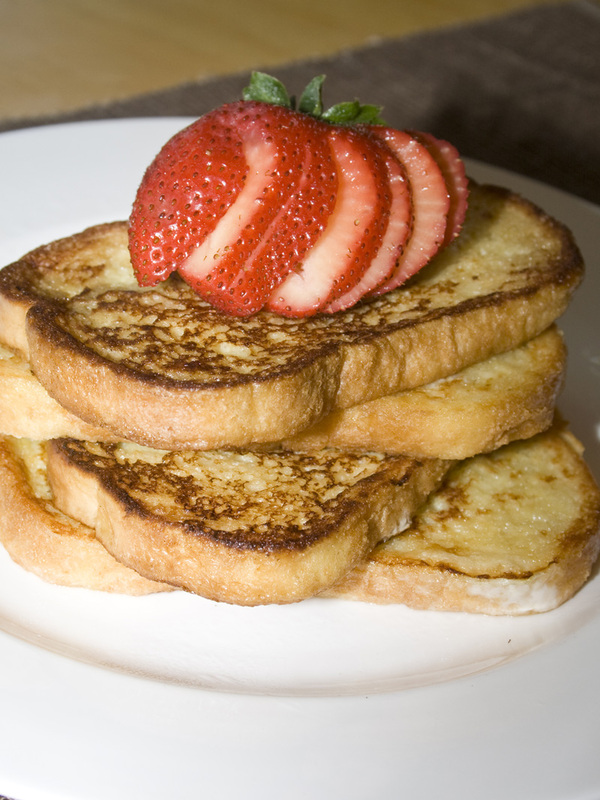 Honey makes the eggs sweet and thick. Yum. First, we soak our bread well then set on a cookie rack to settle in the eggs for just a minute. Then, melt up some butter. Mmmmmm. Butter. Grill up two pieces at a time in the butter. Set all the finished pieces on the cookie rack inside a cookie sheet. Bake for 5 minutes. 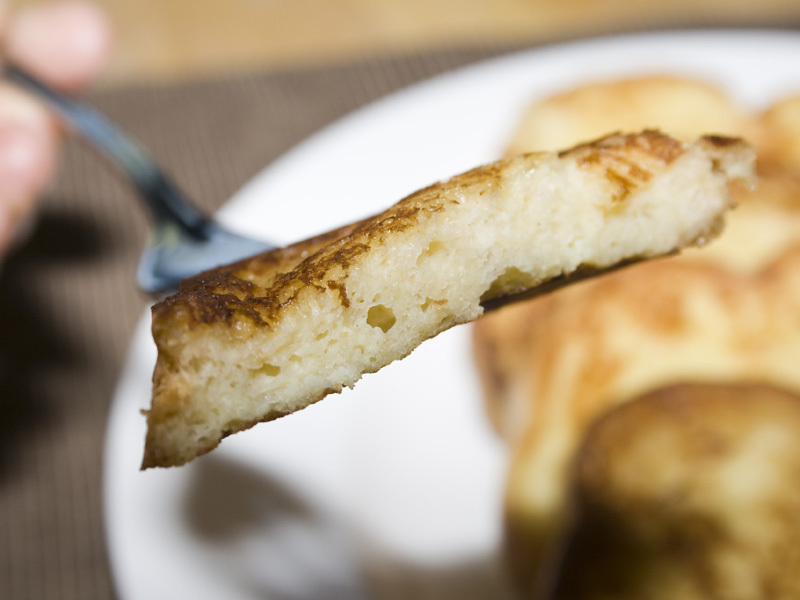 The fry then bake gives you a nice golden crust on the outside and perfectly consistent cooked sweet eggy bread throughout. Gloriously good. 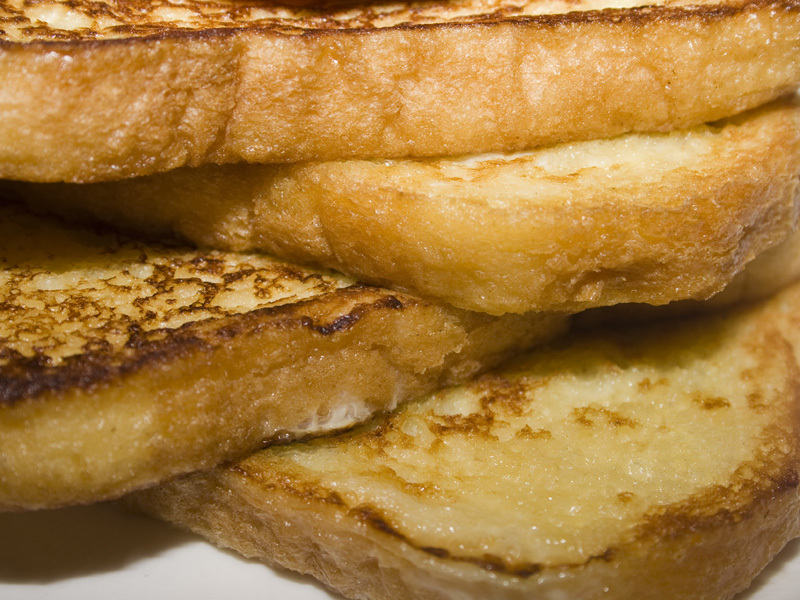 This golden toast doesn’t even really need syrup. My kids (ages 3 and 5) gobbled down several pieces each with only some strawberries on top. Not one complaint. It’s that fantastic. Rich, moist and delicious. In medium size mixing bowl, whisk together the half-and-half, eggs, honey, and salt. You may do this the night before. When ready to cook, pour custard mixture into a pie pan and set aside. 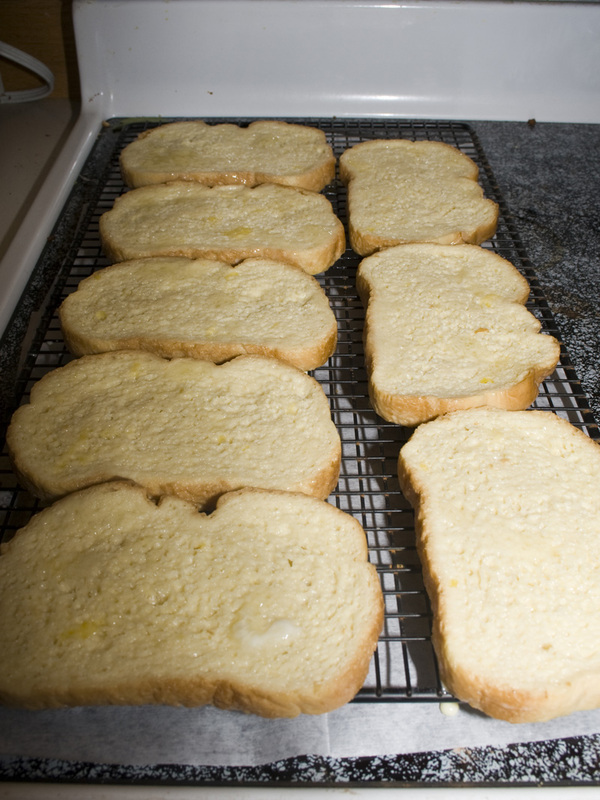 Preheat oven to 375 degrees F. Dip bread into mixture, allow to soak for 30 seconds on each side, and then remove to a cooling rack that is sitting in a sheet pan, and allow to sit for 1 to 2 minutes. 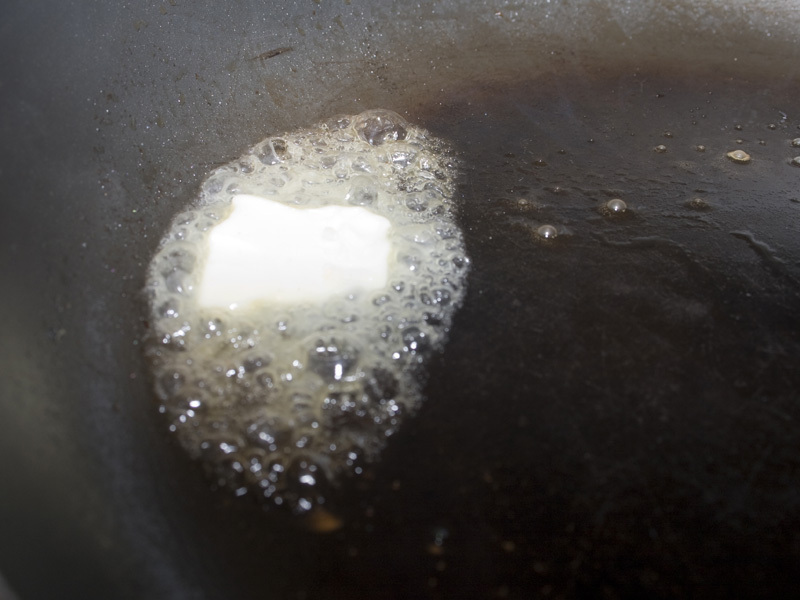 Over medium-low heat, melt 1 tablespoon of butter in a 10-inch nonstick saute pan. 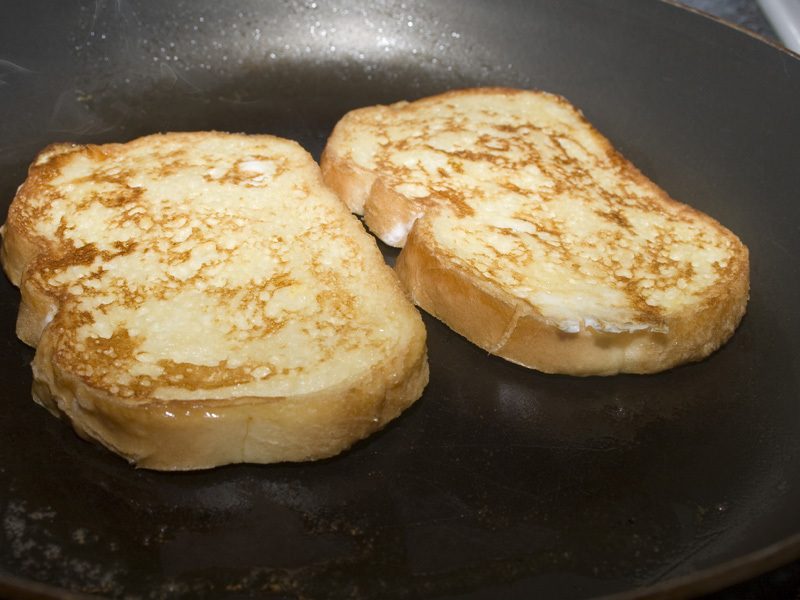 Place 2 slices of bread at a time into the pan and cook until golden brown, approximately 2 to 3 minutes per side. Remove from pan and place on rack in oven for 5 minutes. Repeat with all 8 slices. 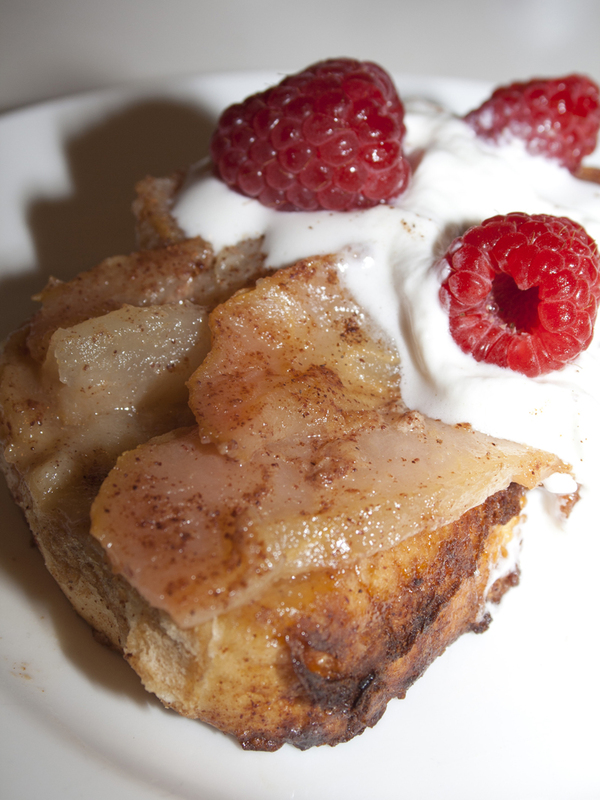 Serve immediately with maple syrup, whipped cream or fruit.